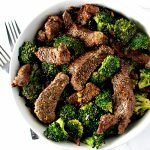 This mouthwatering Broccoli Beef Stir-Fry is a delicious paleo dinner recipe the whole family can enjoy! Complete with a sweet and savory sauce, it’s ready in about 30 minutes! Serve it “as is” or with cauliflower rice for an incredible grain-free dinner! You know a recipe is good when FOUR OUT OF FOUR of our family members go wild for it. Especially a healthy savory dinner recipe rather than a sweet treat. 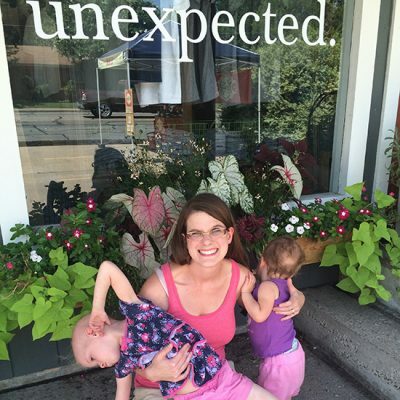 Thus, you can confidently walk right into this blog post knowing today’s meal is a winner. Because K-Hubs and I, along with Twinkle AND Toodle (our resident quality control specialist), love this Broccoli Beef Stir-Fry to the nth degree. And I don’t mean we ate every little bit of it without complaining (in the world of parenting, this is a major dinner WIN). No, I mean, as we were all shoving our faces into the bowl (because we didn’t even bother to wait long enough for everyone to get his or her own), we conspired between bites about the soonest we could eat this again. K-Hubs plotted trips to the grocery store. I was mentally updated our weekly family dinner schedule. And the girls couldn’t be bothered to slow down between bites so long as K-Hubs and I promised to put this on the weekly meal rotation. This is the best we know how to be. Thank you for understanding. But, also, who can even blame us? I mean, juicy sirloin, fresh broccoli, garlic, and ginger come together for an incredible meal that feels like high-end, restaurant-quality cooking in spite of the fact that it’s made right in your very own kitchen. And speaking of kitchens and restaurants, you know how you walk into your favorite restaurants and immediately inhale all their delicious smells? 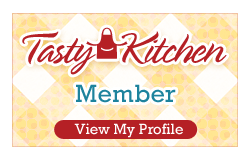 Well, this recipe will give you that same experience right in your own kitchen! 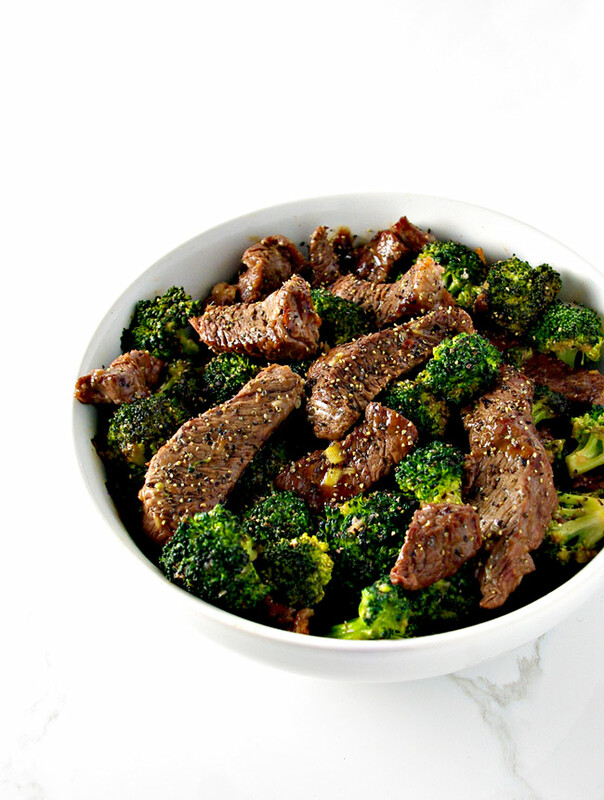 And even though our entire family LOVES Broccoli Beef Stir-Fry, let us not get confused. This meal is absolutely made for two, too! 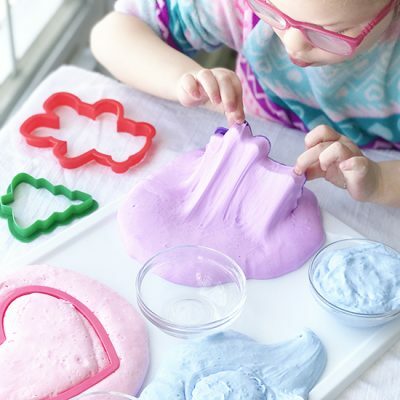 So, if you’re looking for a date night in recipe or scrumptious Valentine’s Day dinner ideas, then bookmark this one because you’re in the right place! 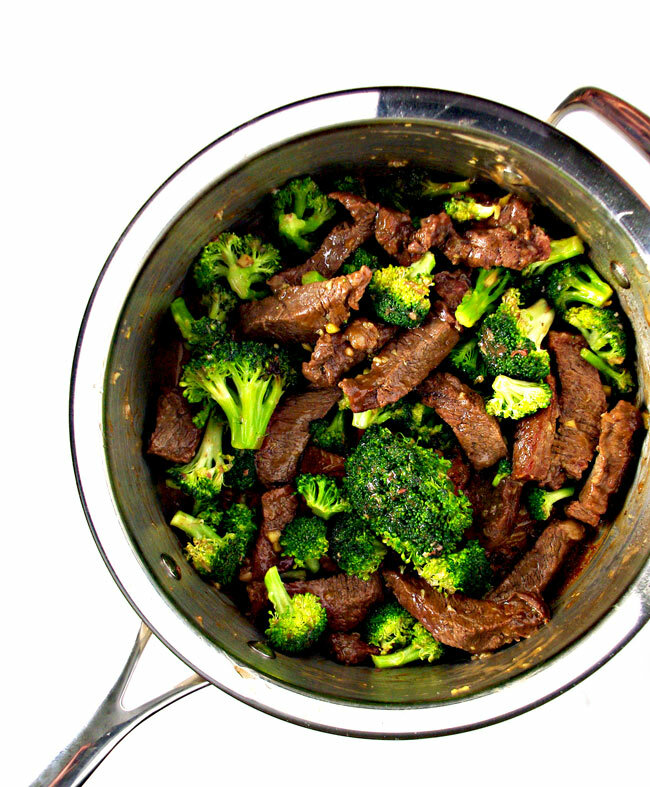 Below are the ingredients for Broccoli Beef Stir-Fry. When the option is available, go with fresh. Your tastebuds won’t regret it! The main dish. Select about 1.5 pounds of fresh sirloin and slice it into thin strips, and then gather up about 3-4 cups fresh broccoli florets. The sauce. I cannot say enough about this sweet ’n sour sauce! Coconut aminos, red wine vinegar, chicken broth, fresh garlic, tapioca flour, honey, and fresh ginger come together for one incredible, easy-to-make sauce that just oozes (literally) out-of-this-world flavor! Optional add-ons. Sliced carrots, green onions, and sesame seeds, to name a few. 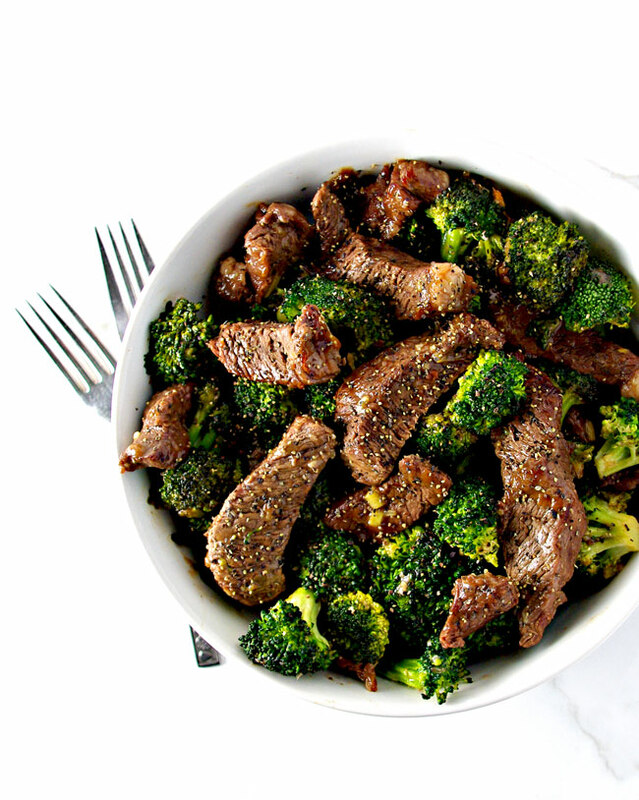 In spite of feeling and tasting like something straight out of a high-end restaurant, Broccoli Beef Stir-Fry is surprisingly easy to make! 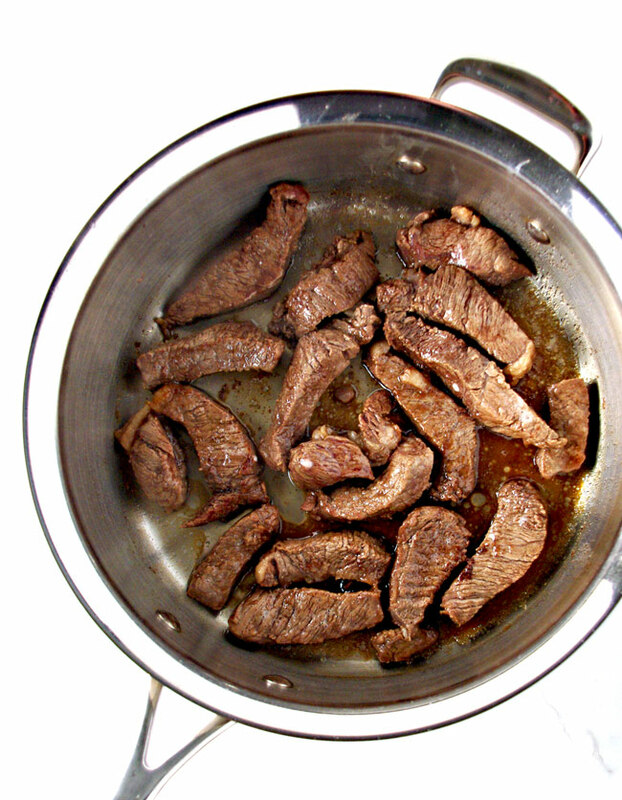 In a small dish, combine the sirloin strips with the coconut aminos, red wine vinegar, and sea salt. Let it marinade for at least 15 minutes. While it’s marinating, then go to work on the other ingredients. 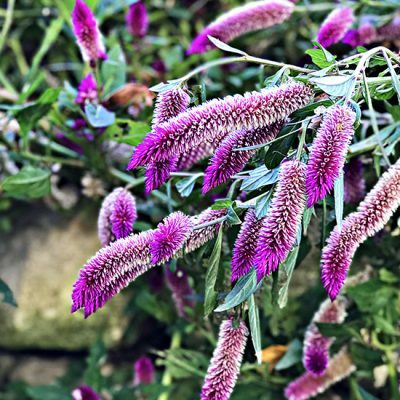 This will save you a lot of prep time and streamline the process for you. In a separate small dish, stir together the remaining coconut aminos and red wine vinegar, along with the chicken broth. Then add in the fresh pressed garlic, tapioca flour, fresh ginger, and honey. Stir together and set aside. Melt coconut oil on a medium to high heat in a large sauté pan. You only need as much coconut oil as will cover the surface of the pan. Once the coconut oil is melted, and it’s getting hot (it shouldn’t be sizzling just yet, but you might be able to hear it a little as it heats up), add the broccoli florets. Sauté the broccoli just long enough to evenly coat them and for them to turn bright green. Then add in two tablespoons water and cook covered for about 30 seconds. Transfer the broccoli from the sauté pan to a covered dish to keep warm. In the same sauté pan, add coconut oil, and similar to the broccoli, once the oil is hot, add the sirloin strips to the pan, without overlapping them. Then cook them about 1-2 minutes on each side. Be sure not to overcook. Stir in the sweet and savory sauce, coating the sirloin strips evenly. Cook just long enough for the sauce to thicken. Because it has been sitting out, it may not take too long to thicken in the sauté pan, perhaps a minute or so. Then toss in the broccoli, combining it with the sirloin strips and sauce. Serve by itself, with cauliflower rice, or with veggie noodles, and then enjoy! 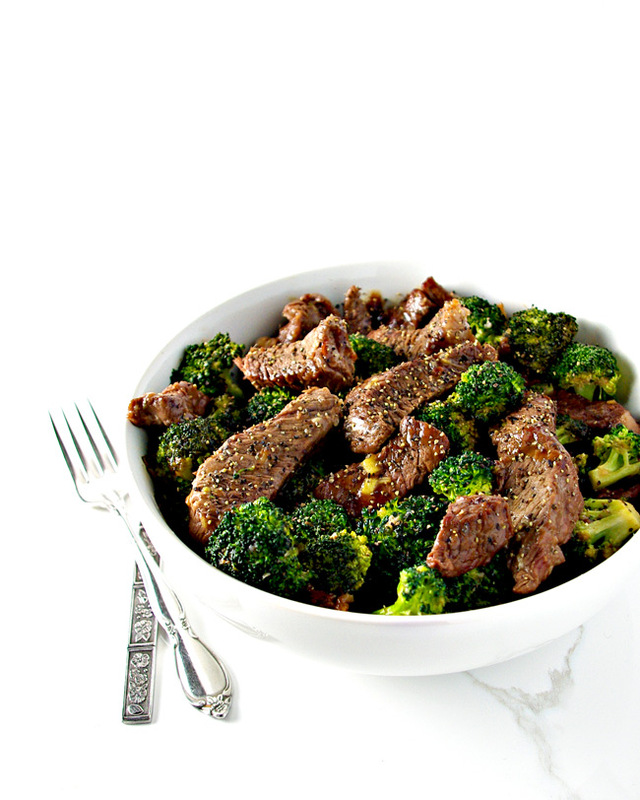 There are several ways to prepare and enjoy Broccoli Beef Stir-Fry. 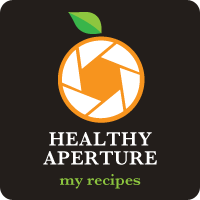 Below are a few of my favorite ways to get the best results and change up the recipe for various occasions! This meal is quite filling for a family of four (two of whom are small). However, if you would like to serve four adults or a larger crowd, then pair this recipe with cauliflower rice or veggie noodles. 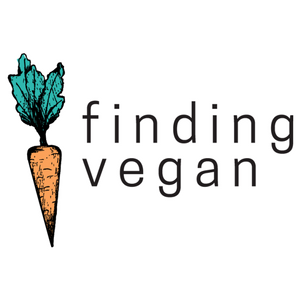 If you would like to flavor the cauliflower or noodles, then prepare them with a little extra coconut oil, coconut aminos, and red wine vinegar. For an even stronger flavor, add in garlic and ginger. If you think the sirloin isn’t cooking evenly, briefly cover them with a lid and cook for about 30 seconds or until they are done to your preference. Be careful, however, not to overcook the sirloin. A little cooking goes a long way! In a small bowl, combine the sirloin strips with the 2 tablespoons coconut aminos, 2 tablespoons red wine vinegar, and sea salt. Let marinade for at least 15 minutes. While the sirloin is marinating, prepare the other ingredients. In a small dish, stir together the remaining coconut aminos and red wine vinegar, along with the chicken broth. Then add in the fresh pressed garlic, tapioca flour, fresh ginger, and honey. Stir together and set aside. Melt approximately 1-2 tablespoons coconut oil on a medium to high heat in a large sauté pan. Once the coconut oil is hot, add the broccoli florets. Sauté just long enough to evenly coat the florets and to turn them bright green. Then add in two tablespoons water and cook covered for about 30 seconds. Transfer the broccoli from the sauté pan to a covered dish to keep warm. In the same sauté pan, add remaining coconut oil, and once the oil is hot, then add the sirloin strips to the pan, side-by-side without overlapping. Cook sirloin strips for about 1-2 minutes on each side. Be sure not to overcook. Then stir in the sweet and savory sauce, coating the sirloin strips evenly. Cook just long enough for the sauce to thicken, approximately 30 seconds to one minute. Next toss in the broccoli, combining it with the sirloin strips and sauce. Serve “as is”, with cauliflower rice, or with veggie noodles, and enjoy! Use only as much coconut oil as is needed to coat the bottom of the sauté pan.